When Adele Zaniewski first walked into her clients’ outdated bayfront condo, she had a vision of what it could become and quickly set off to transform the two-story Ocean City unit into a coastal retreat. 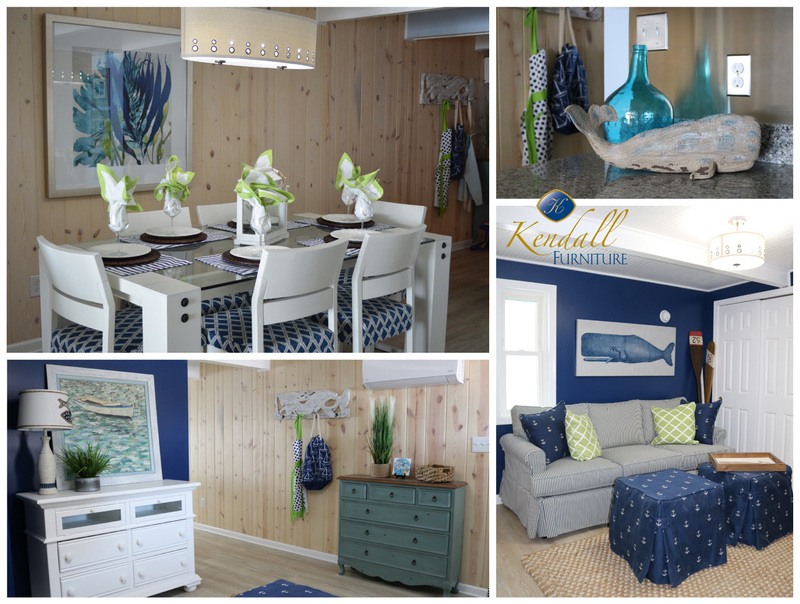 Now several months later, Zaniewski, senior design consultant for Kendall Furniture, will have the opportunity to see the store’s home furnishings and her design services on television, when the home is featured on HGTV’s “Beachfront Bargain Hunt: Renovation” June 3. 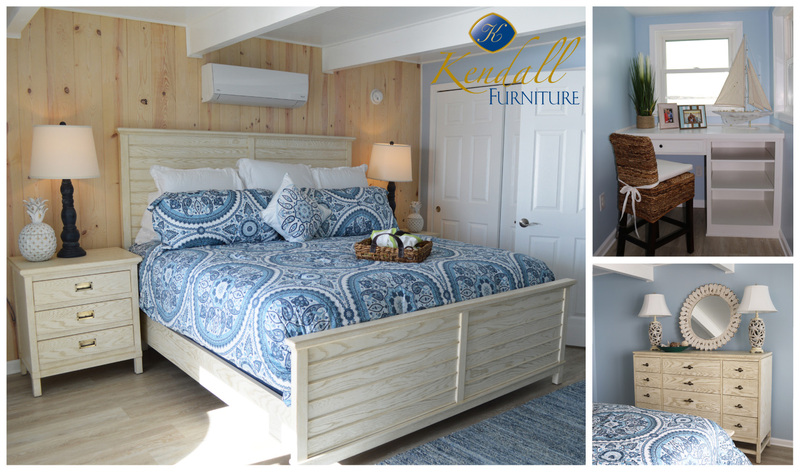 Zaniewski said Kendall Furniture owner Joe Kendall came to her about providing interior design services for the television show in November and shortly thereafter met with homeowners Peter and Linda Roskovich to view the condo that would be renovated. With a month to complete the design, Zaniewski and her assistant McKena Cook began pulling fabrics and choosing paint colors that would ultimately be featured on the show. 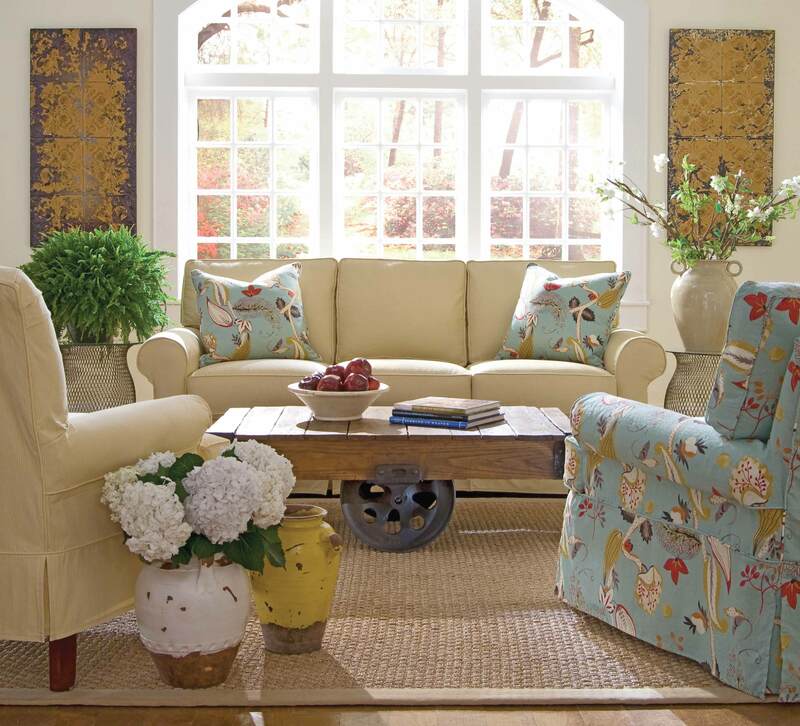 Zaniewski said the design blends a Nantucket coastal style with iconic Ocean City elements to create a timeless look. Zaniewski said the traditional, yet lively color palate of blue, green and white was a subtle tribute to the resort’s earlier days, when people stayed in rental homes and small condos instead of high rise buildings and hotels. Using Kendall’s furniture to decorate the house, Cook and colleagues Meg King, Donna Ware and Cindy Stephenson volunteered to help Zaniewski complete the decorating before camera crews filmed the reveal. “We have such comradery at Kendall, we really do,” she said. Zaniewski shared that her favorite part of the transformation was the dining room, complete with place settings and linens, a feature she said people rarely use in today’s interior design. Although the homeowners were given a sneak peek prior to the on-camera reveal, Zaniewski said she often leaves her designs a surprise for out-of-town clients. Zaniewski said the Roskovich family was shocked by the condo’s transformation, but explained she was most pleased with the home she gave to them.